The application has been submitted by Mr J Teitelbaum. 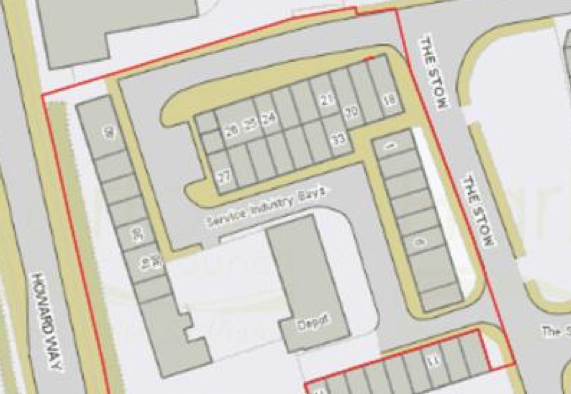 Redevelopment of Existing Service Bays Into A Mixed-Use Development Comprising of 87 No. 1 and 2 Bedroom Apartments, 11 No. Live/Work Units and 559sqm of B1 Use. The Proposals Also Incorporates Undercroft Car Parking, Mews Courtyard and Residential Gardens.  87 residential units (43/1 bedroom and 44/2 bedroom).  11 live/work units (1/1 bedroom and 10/2 bedroom).  74 standard parking spaces and 5 disabled parking spaces for residents.  7 standard parking spaces and 2 disabled spaces for B1 use.  6 Powered Two Wheeler (PTW) spaces for residents and 2 PTW spaces for B1 use.  4 PTW spaces for residents and 2 PTW spaces for B1 use.  110 cycle parking spaces for residents and 6 cycle spaces for B1 use. The proposal would take the form of a rectangular block ranging from 1 to 5 storeys. The live/work units and the standalone B1 unit would be positioned within the eastern part of the site. There would be an undercroft car park at ground floor and communal garden space at first floor. The meeting will take place on Wednesday April 17th at 7.30pm in the civic offices. Full details of the application can be found below.